Put the finishing touch on your Hulkbuster costume with this pair of Marvel's Avengers Infinity War Adult Hulkbuster gloves! 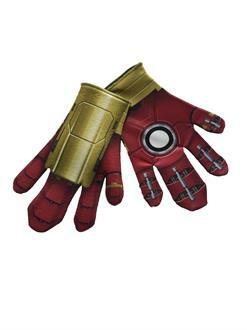 Comfortable and made of high-quality foam rubber, these gloves are great for Halloween or cosplay events year round! Do some serious smashing with these can't miss accessories! Order yours online today, while supplies last!